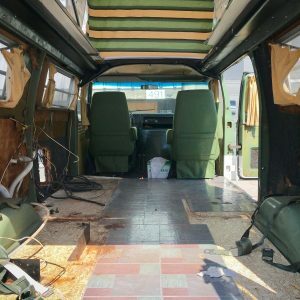 The day has finally come to start the interior build! The overall condition of the interior was actually pretty good for a 40+ year-old vehicle. The appliances didn’t work but that didn’t matter to me since I knew I would be doing a full build-out of the interior. 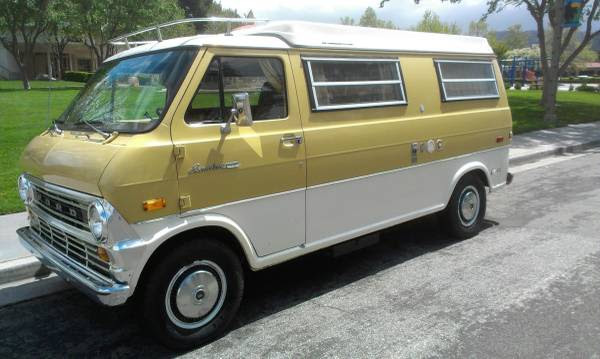 I plan to use this van for adventure, it is not just a show piece nor do I care to do an authentic restoration. I want to keep a retro style but bring it up to modern functionality like my first creation, the CandyVan. My main-man Gary the VanGuru from Personalized Vans & Trucks was excited to do the work. 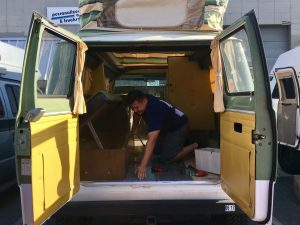 We worked together on the CandyVan and he was overjoyed to be working on a 70s van. My fellow van brother Mike came up from LA to help me disassemble the interior. 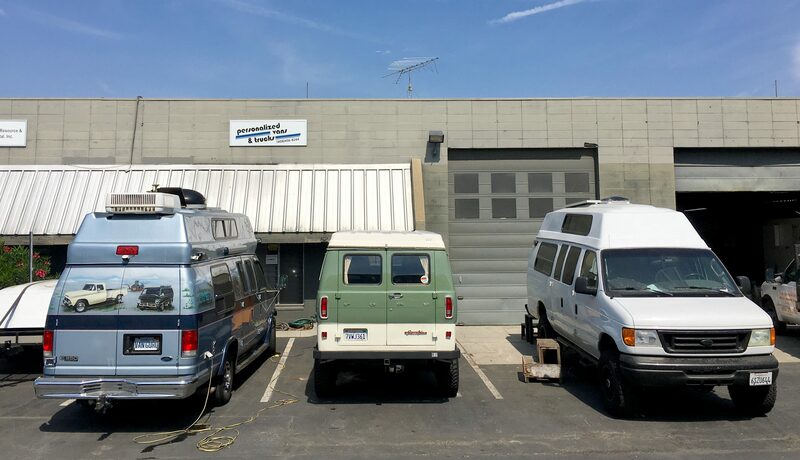 Mike bought a similar 1972 Ford Sportsmobile that he plans to convert to 4×4 as well His interior was in much better shape than mine, so I offered him all my old parts so he could have some nice spares for his own rig. Disassembly was relatively easy and most of it came out intact. 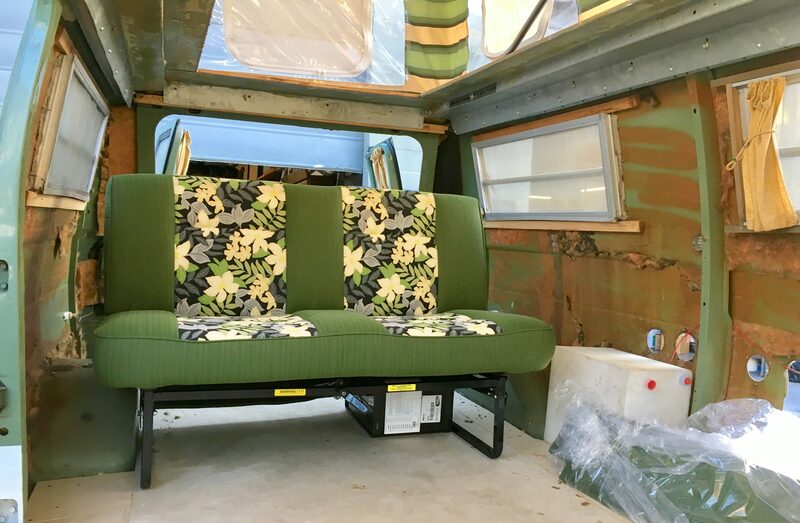 Of course with any old van there are going to be some surprises. 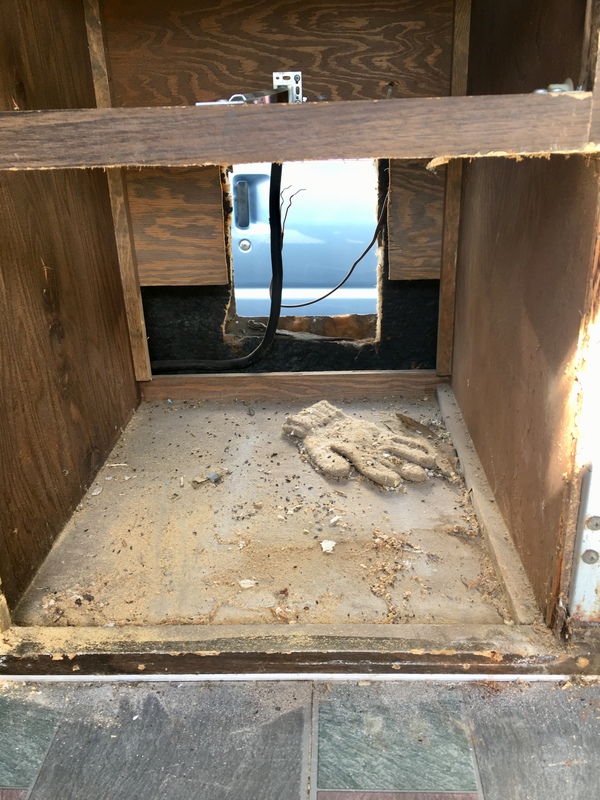 A lonely work glove that was stuck under 40 years of random cabinet dust made me think of all the memories this van has seen – and was only slightly creepy. The old wiring also drew some concern. Although I never planned to use any of the original electronics, the 10-gauge wires to the auxiliary 12V battery was a definite fire hazard. Surprising these vans could even be sold from the factory like that. The only headache was removing the ancient propane heater that had rusted in place. 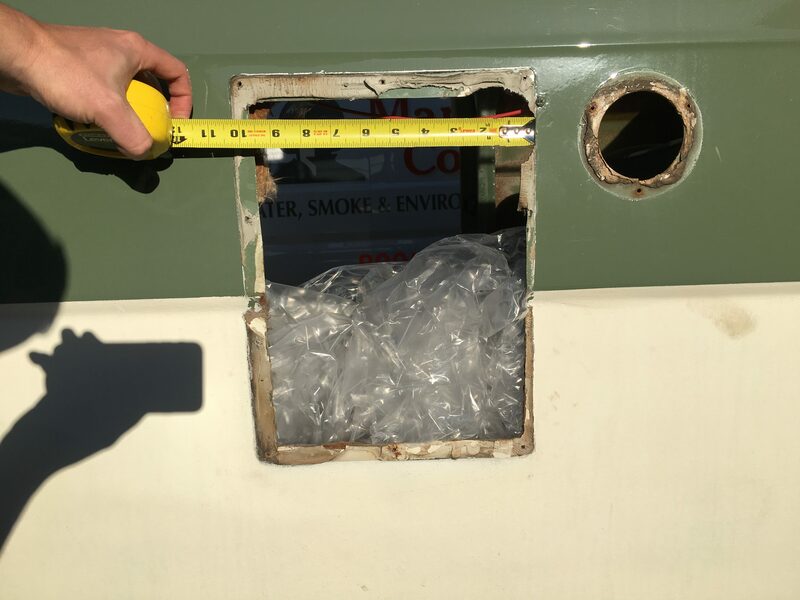 A good hit with a sledge loosened it up and now we are faced with what to do with a big hole on the side of the van. We’ll be able to re-use the smaller holes on the side for power and water hookups, but since I won’t be doing any on-board propane I’ll need to figure out how to fill the big gap. 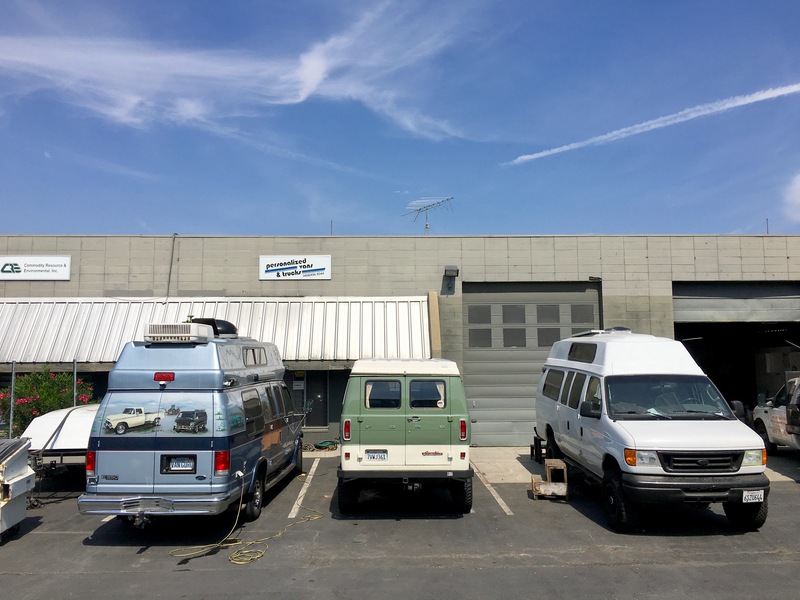 My current idea is to install an outdoor shower in its place to be able to rinse off and wash outside the van. 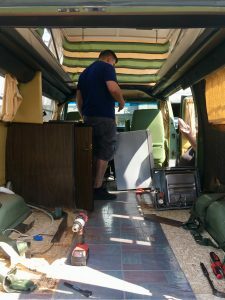 Seeing the van empty for the first time made the build become a bit more real. I’ve spent the last few months planning every detail and I’m excited to see the vision come together. 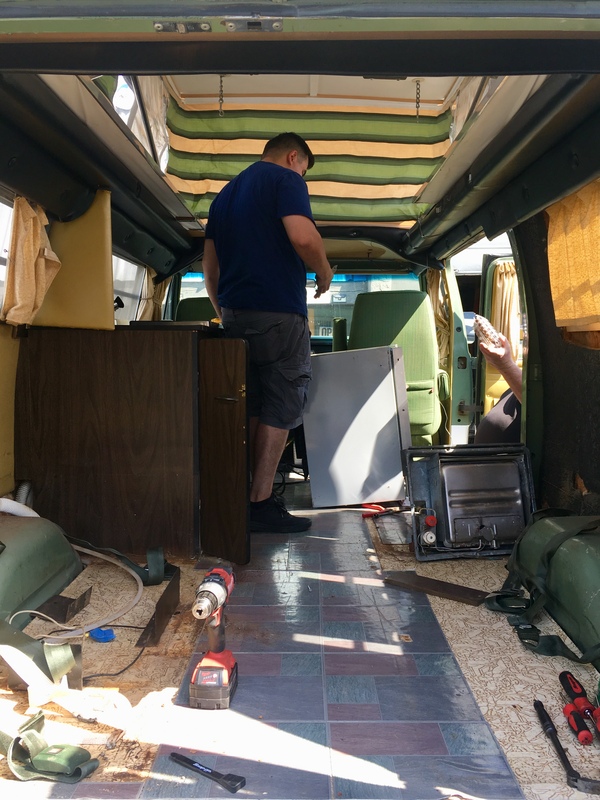 I spent most of the day talking through all the plans with Gary as Mike did the disassembly. Between the rust and the dust, Mike was well on his way to coming down with “vanlung.” Luckily we spent the evening disinfecting any germs by ingesting a lot of alcohol in SF and solidifying our friendship.